Stepping into Ruby Skye, you immediately feel the deep pounding of steady beats from Ari Kyle. Being the opener for the headliner of the night is always a difficult job, but Ari Kyle played a calm yet upbeat set. A notable mention was when Kyle played “Let there be light.” The classic was not only a crowd pleaser, but it ensured everyone a night of great music. With a steady stream of people starting to fill up the dance floor there were groups already dancing and having the time of their lives with one another and others standing off to the side enjoying the ambiance of the music. As the time began to near 12:00, Ari Kyle began to lift up the mood with faster beats that got even more pumped up. Then, it was finally time for Ben Gold to take the stage. Ben Gold definitely did not hold back on us! He rocked that deck and played his latest single “All Or Nothing” featuring Christina Novelli, and other hits like Cosmic Gate’s “Falling Back in Love”. 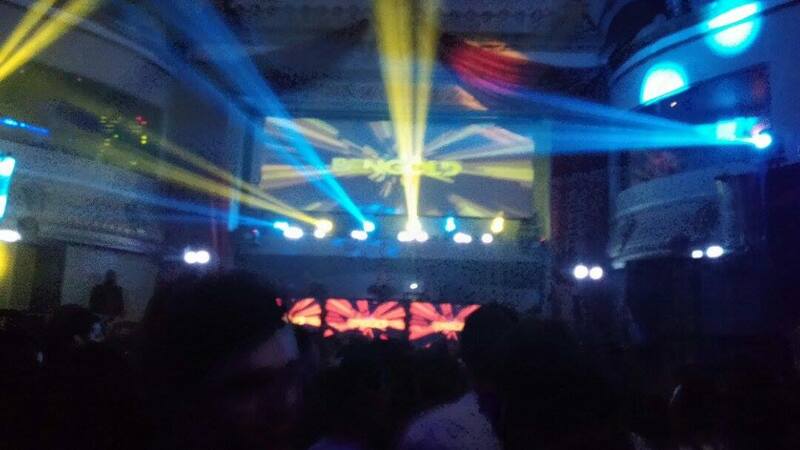 Throughout the set, Ruby Skye became more and more packed, with there barely being any space to move around. It was unbelievable how many people came to not only have a good time, but also for the music. Looking through the crowd there wasn’t a face that wasn’t smiling; Ben Gold’s trance set was reaching out to all of us to create a journey of emotions from being happy to be alive to being happy to be reunited with friends that we haven’t seen in months. It was a roller-coaster of feels. Towards the end of his set, Ben Gold transitioned into what Phoria is all about: uplifting trance. The club became more high energy, fast paced, and most importantly uplifting. It felt as if there was no coming down from the high that Ben Gold gave us that night and there was nothing that would stop him. Unfortunately, all good things must come to an end. Closing out with nostalgic hits like “Big Sky,” Ben Gold did not disappointing us one bit as he brought us down from the trance journey that he navigated. We hope everyone enjoyed the night! 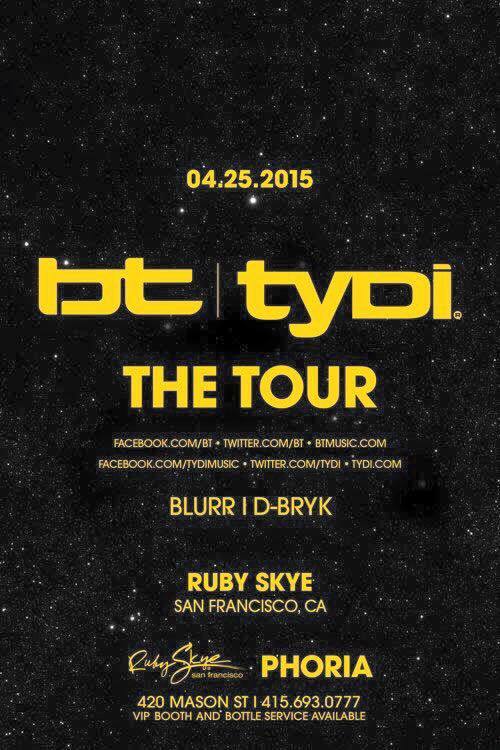 To not miss out on any of Phoria’s events, make sure to grab your tickets for BT and TyDi this Saturday, April 25! 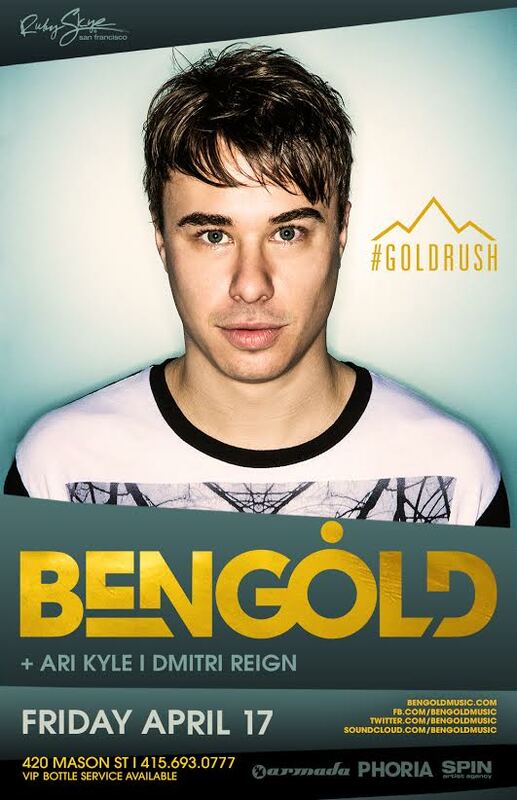 Fresh out of ASOT700 in Buenos Aires, rising London trance star Ben Gold takes the stage this Friday at Ruby Skye! With hit’s such as “Fall with Me” and his collaboration with Gareth Emery “Javelin,” Gold’s melodic tunes doesn’t only resonate through our hearts with its uplifting and electronic sounds, but shows his talents for potentially becoming one of the greatest trance DJs. His music has been featured on radio shows such as Armin van Buuren’s A State Of Trance and Above and Beyond’s Trance Around the World and supported in live-sets by Markus Schulz and other greats. Hosting his own radio-show, #GOLDRUSH, Gold features his own remixes, mash-ups and new singles of his record label #Goldrush Recordings. His fans are also allowed to choose their favorite song to be featured as the closer for each episode. The recognition that he gives to his fans proves that he is in it for the music and only wants to give us the best in trance. Gold’s most recent endeavor at ASOT700 Buenos Aires, puts him on the map with some of the biggest trance names. He performed alongside Heatbeat, Andrew Rayel, Cosmic Gate, and even Armin during ASOT700 in Buenos Aires with back-to-back sets that generated a trance overload! So get ready for a night to remember! With his new single out featuring Christina Novella, “All Or Nothing,” there is no doubt that this rising star’s set will rock your socks with a GOLDRUSH of beats.